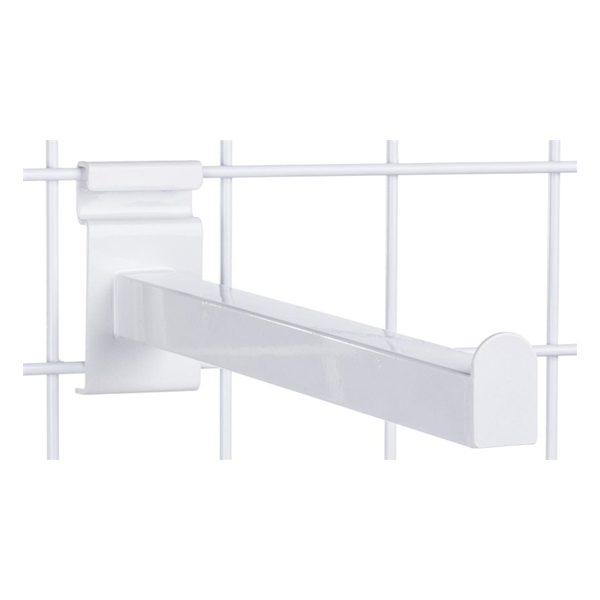 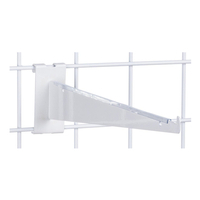 This gridwall faceout in white attaches easily to store paneling. 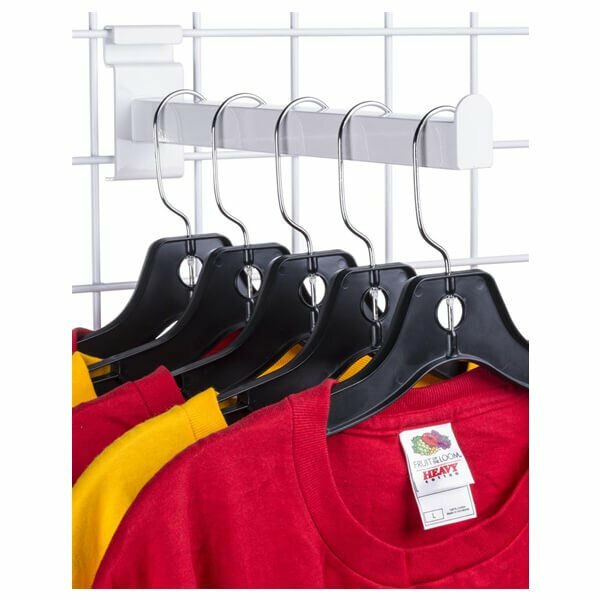 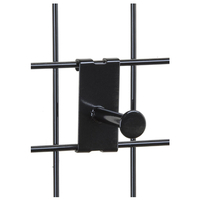 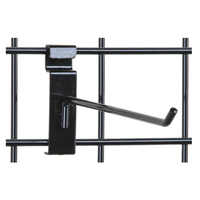 With a metal straight arm for hangers to fit on, it's easy to display clothing and accessories in an eye-catching manner. 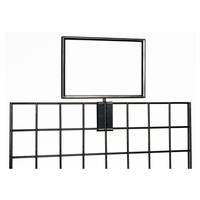 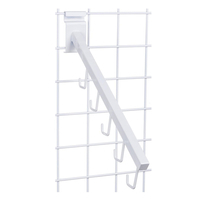 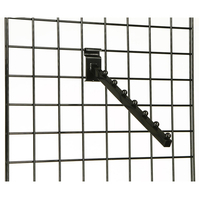 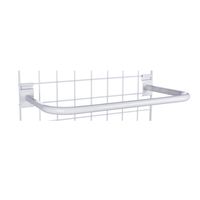 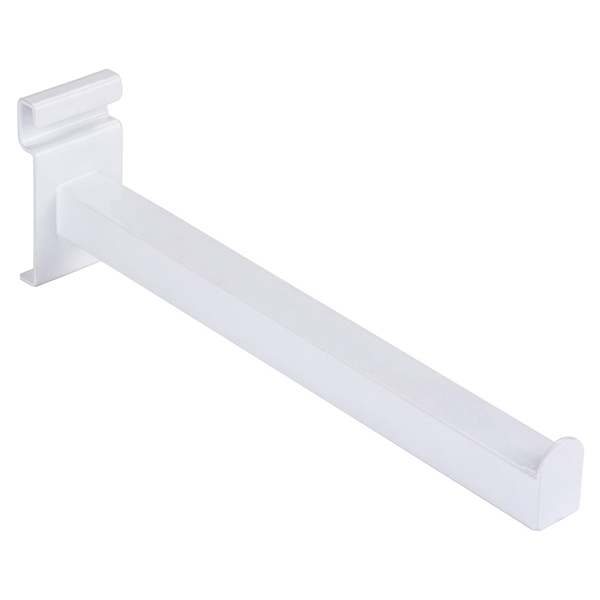 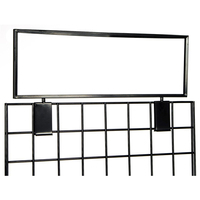 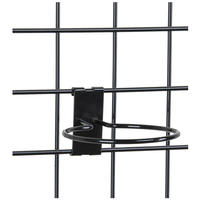 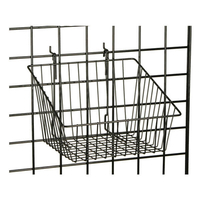 This gridwall faceout in white helps merchandisers secure clothing, accessories, belts, and other types of retail products with a secure end stop. 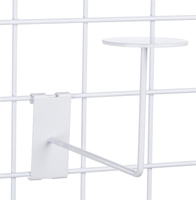 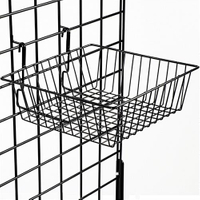 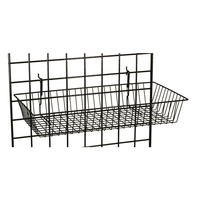 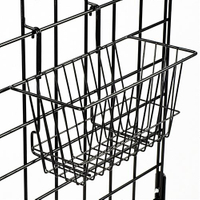 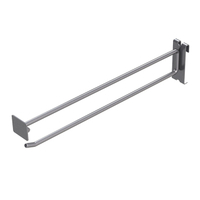 This unit ships with two removable suction cups for use with a shelf. 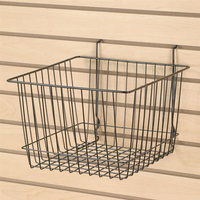 This gridwall faceout in white is a great way to show off and dispense retail merchandise.